Does your home spark JOY? Get it organized with todays deal! 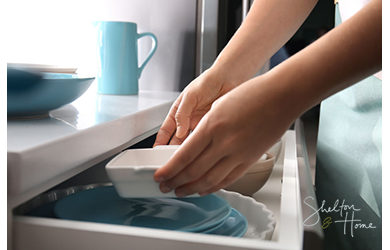 Create clutter free, organized space! Experience the magic of curating our own lives. Too often our homes are a reflection of the busyness of our day-to-day lives. When we take the time to curate our homes, we open ourselves up to the magic of curating our own lives. 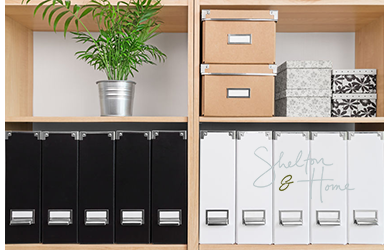 Shelton and Home works hand-in-hand with our clients to create clutter free, organized homes where you can thrive instead of simply existing. If you’re ready to kick the excuses to the side and show up for your life, then let’s not waste another second! DON'T DECREASE THE GOAL. INCREASE THE EFFORT. Shelton & Home is a place where we can become ourselves. Where we can uncover the parts of ourselves we've stowed away. This is a place for anyone to come together and find encouragement on their journey to find a truer version of themselves, where they won’t be held back by the fears of those around them. Offering a modern kind of coaching, goal setting, and an inspiring, free community. Limit TWO Per Person, plus one as gift. Option to use two vouchers together or at separate times. Paid value does not expire – promotion value good 90 days after purchase. Limit TWO Per Person, plus one as gift. Use two vouchers together or at separate times. Paid value does not expire – promotion value good 90 days after purchase. Cannot be used with other promotions or offers. Tax and gratuity not included. No cash value, full amount of voucher must be used.